The Genius of Photography par Gerry Badger est disponible au téléchargement en format PDF et EPUB. Ici, vous pouvez accéder à des millions de livres. Tous les livres disponibles pour lire en ligne et télécharger sans avoir à payer plus. Published to huge critical acclaim to support the major BBC television series on this ever more influential art form, this landmark book explores the key events and the key images that have marked the development of photography. At the heart of the book is a quest to understand what makes a truly great photograph. What is it that makes a photograph by Nan Goldin or Henri Cartier Bresson stand out among the millions of others taken by all of us every single day? The Genius of Photography examines the evolution of photography in its wider context: social, political, economic, technological and artistic. It also brings a critical perspective and a strong aesthetic sense to the subject. 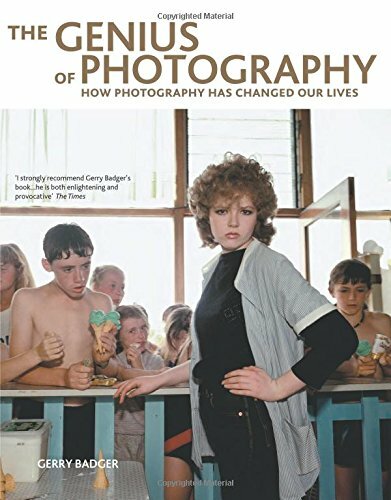 Beginning with the earliest days of the photograph in the 1840s and ending with an examination of the state of photography today and the effect that the 'digital revolution' will have, the book challenges not only how we look at a photograph but what it is in a physical sense. It examines all the different genres of photography from landscape and portraiture to news and reportage. It also tells the great stories behind many of the world's most iconic photographs and reveals the extraordinary characters — from Louis Daguerre and Cindy Sherman, Paul Strand and Robert Capa — who have made and defined this art form. Provocative and enlightening by turns, this is a major book for anyone who wants to know more about one of the most important art forms of the 21st century. Gerry Badger is a photographer, architect, curator and critic. He has written extensively for the photographic press, and among his recent books are Collecting Photography, The Photobook: A History (with Martin Parr), and the text to a major monograph of the Berlin work of John Gossage, Berlin in the Time of the Wall (2004). Amongst the exhibitions he has curated were Photographer as Printmaker: 140 Years of Photographic Printmaking, the Arts Council of Great Britain travelling exhibition, 1981-82, and Through the Looking Glass: Photographic Art in Great Britain 1945-1989, at the Barbican Art Gallery, 1989. His own work was included in The Garden in English Art at Tate Britain, London, in 2004.